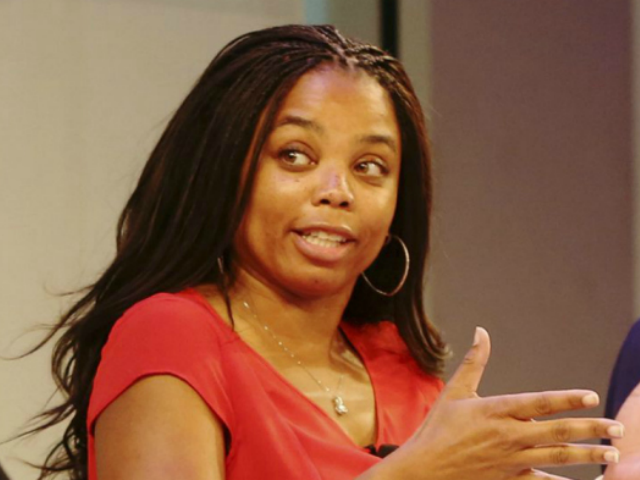 You might ask yourself what Jemele did to bring down the wrath of ESPN on her head… well, she threatened their bottom line. That’s a no-no. She did that by telling people to boycott the advertisers of the Dallas Cowboys. That’s a cash cow for ESPN – they own the rights to Monday Night Football and the ratings for primetime play are always strongest for the Dallas Cowboys. She was suspended for two weeks for that. Transparent much ESPN? It’s obvious what matters to them and what line you don’t cross with the network. It took less than 24 hours for her to get suspended over tweeting against the Cowboys. Wonder if she’ll get fired. One can only hope so. She was acting as a political activist for Black Lives Matter again and certainly deserves to get nailed by ESPN for it. I just find it hypocritical when she’s allowed to talk smack to the President on Twitter. Jones issued a mandate before the Cowboys’ game Sunday against the Green Bay Packers. It came amid a backlash against players “taking a knee” during the National Anthem, driven in part by President Trump’s angry denouncement of what some players say is legitimate social protest. Two of the Cowboys raised their fists towards the end of the National Anthem and that is something Jones won’t tolerate. “I know this, we cannot … in the NFL in any way give the implication that we tolerate disrespecting the flag,” Jones said. “We know that there is a serious debate in this country about those issues, but there is no question in my mind that the National Football League and the Dallas Cowboys are going to stand up for the flag. So we’re clear.” He also said if they couldn’t respect the flag, then the Cowboys wouldn’t play. Hill, an outspoken liberal, tweeted that Jones “has created a problem for his players, specifically the black ones… If they don’t kneel, some will see them as sellouts.” The ESPN host wrote, “By drawing a line in the sand, Jerry put his players under more scrutiny and threw them under the bus… If the rationale behind JJ’s stance is keeping the fanbase happy, make him see that he is underestimated how all of his fanbase feels.” Guess she found out how ESPN feels about her activism and the Cowboys’ fanbase is happy that ESPN suspended her. Americans cheered her on the way out the door. You can go and stay gone.